Pusat Sumber SMK Bandar Utama Damansara (3): Sports Day - An Ice Cream Seller's Perspective! Sports Day - An Ice Cream Seller's Perspective! Sports, it keeps us healthy and fit, strengthens us and brings countless of other benefits. 31st July 2016 was when our school had the annual Sports Day. 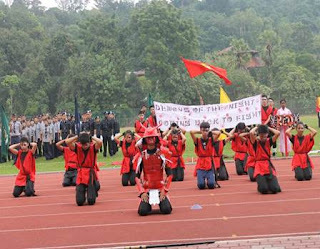 The event started around 8.00 a.m., with all the uniform bodies and all four houses – Red, Yellow, Blue and Green - marching in. Our Sports Day then proceeded with performances from all four houses. The performances were beyond expectations, as they were well-prepared and special. 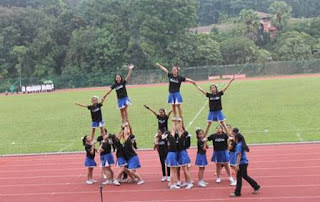 Besides that, there was also performances by our school cheerleading team, Stompers, and our school marching band. They practiced very hard for Sports Day and their hard work definitely did not go to waste! This made sports day even more eventful. After a speech given by our Principal and a representative from the Education Ministry, the crowd almost cheered: let the sports begin! 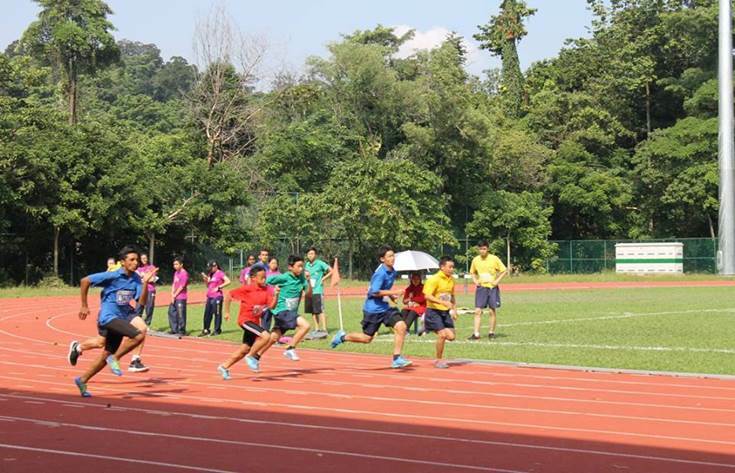 The athletes got in position on the running track and with the sound of the horn, they sprinted off for the win. Whilst the athletes in different categories of running went on and competed, we Librarians were selling drinks and ice cream. We sold Milo, and ais krim potong. We had a stall set up in the stadium. My friend and I were the ones in-charge of walking around the audience to sell the ice cream. We walked all the way from one end of the stadium to the other end, carrying a big ice box chock-full with ice cream to be sold. This happened when the running was going on as well. There were many categories for running. Hours passed, but the houses did not settle down - instead they continued to cheer for their champions. Even though I wanted to sit down and watch the race, I felt happy to help sell and earn money for the Library. Our hands were tired from holding the ice box and our legs were giving out, but we definitely did not regret helping out. We sold out our ice cream and Milo, which was great. Around 1.00 p.m., the medal-giving ceremony commenced. Those who won in the race and also other sport categories before sports day received their well-deserved medals. Prizes for the houses - for categories such as best performance and best teamwork - were given out. Finally, the long anticipated result for the best house was announced, and the winner was Yellow House! Yellow House were elated and proud that they were the champions of 2016. That was the end of sports day. The atmosphere was great and overall, it was very memorable. 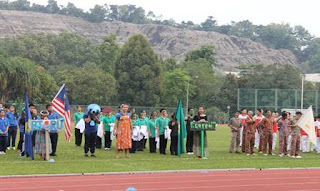 Sports Day was a huge success - an amazing day for SMK Bandar Utama Damansara (3), I eagerly await next year’s sports day - for who knows what it has in store for us?